Shown here, alphabetically, are inscriptions taken from the headstones in Killinan Graveyard, Nenagh Road, Thurles, Co Tipperary. The inscriptions are exactly as found, including all obvious misspellings. There are also some rather surprising variations of spelling of names and same have not been changed or in anyway altered. The work of compiling these headstone inscriptions was painstakingly undertaken by Mr James Ryan, Dublin Road, Thurles, and it is the hope of ‘Hidden Tipperary’ that this information will be of some assistance to persons involved in tracing their family roots, here in Thurles, Co.Tipperary. Michael Barrett, died Feb 10th 1938. Ellen: See CALLANAN, Andrew, Brittas, Thurles. Erected by Mary Bowe in loving memory of her husband William Bowe, died 20th June 1886. Also her daughter Bridget, died Feb 1878. Also the above Mary Bowe died 10th January 1916 aged 67 years. Their son William died 17th April 1943 aged 61 years. James Bowe died 14th Feb 1968 aged 93 years. In loving memory of Edmond Brennan, Glenbane, Holycross, died 25th March 1910 aged 94 years. And his wife Mary died 14th Feb 1916 aged 80 years. Also their sons Edmond died 14th Jan 1912 aged 33 years and John died 7th June 1935 aged 50 years. Also their daughters Johanna Brennan died 6th Oct 1946 aged 76 years. Mary Brennan died 7th Nov 1953 aged 84 years. R. I. P.. Their son Michael died 9th March 1955 aged 84 years. Mary Brennan Holycross died 13th Jan 1972. In loving memory of Mary Brien of Kilmuckeridge, Co Wexford, who died in Thurles the 11th Feb 1879. For nearly 60 years she was the faithful servant and attatched friend of the late Mrs George Jefferies, New Ross, and of her family. Erected by William Brit, in memory of his daughter Elen Brit, died in May 1831 aged 8 days. Erected by Alice Broderick of Maxfort, in memory of her father Joseph Broderick, who died 8th May 1896 aged 96 years. Also her brother Timothy, who died 1st April 1803, aged 22 years. Her mother Johanna (nee Callanan), died 19th March 1907 aged 83 yrs. Her sister Margaret Downes died 18th Nov 1933 aged 74 yrs. The above Alice Broderick died 7th Jan 1937 aged 72 yrs, – Interred in Moycarkey. Martha: See SYMES, Martha Brownrigg. In fond memory of Joseph Burke, late of Ballycurrane, Thurles, died Jan 8th 1947, aged 83 years. In loving memory of our parents Pierce and Alice Burke died Jan 2nd 1900 and March 14th 1932, respectively. Their children Michael died July 24th 1899. James died July 31st 1917 and Margaret. Our Grandparents Michael and Mary Dwyer, Uncle Michael Dwyer died July 5th 1914. Johanna Burke died Sept 1939. Peter Burke died 12th Sept 1944. Joseph Burke died 19th Aug 1977. John Burke died 4th Feb 1980. His wife Mary died 13th June 1982. Erected by Edmond Butler in memory of his father John Butler who departed this life July the 19th ….. aged 70 May he rest in peace. Amen. In loving memory of Bridget Byrne, Thurles, died 6th Feb 1900 aged 56 years. Also her husband Terence died 18th May 1907 aged 70 years. Their son Michael died 16th Aug 1884 aged 7 years. Their daughter Mary (nee Byrne) died Sept 10th 1952 aged 81 years. Her husband Joseph Ryan (Mac) died March 24 1954 aged 83 years. Erected by Joseph Ryan. In loving memory of Maria Byrne died 11th July 1954 aged 4 years. And her infant sister Bridget Nov 2nd 1947. Erected by Mickey and Mary Byrne, Loughtagalla. Matt Byrne, Clongour, died 15th Oct 1941 aged 65 yrs. His wife Mary Byrne died 11th March 1945 aged 75 years. Michael and Nora: See CUSSEN, Michael. Erected by Andrew Calanan in memory of his father Cornelious Calanan of Aurdbane, who died January the 4th 1797 aged 72 years. Also the above Andrew Calanan who died April the 15th 1832 aged 65 years. 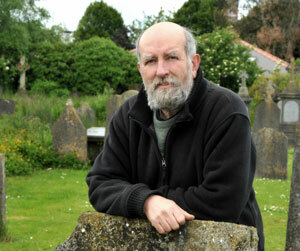 In memory of Andrew Callanan of Brittas who departed this life Feb 28th 1864 aged 60 years. Also his daughter Margaret Callanan who died Jan 16 1865 aged 27 years. Here lyes also the remains of John Callanan who died June 9th 1837 aged 70 years. And Bridget Callanan alias Maher wife to the above Andrew Callanan died 7th February 1884 aged 75 years. Ellen Shelly Alis Callanan who died June 20 1885 aged 33 years. Edward Callanan who died June 21st 1900 aged 25 years Ellen Callanan Nee Bourke who died Dec 12th 1901 aged 60 years. Erected by Andrew Callanan of Thurles, to the memory of her niece Bridget O’Connell (Tiny Hackett) died July 7th 1917 aged 30 years. R. I. P.. Here lies the body of Cornelious Callanan who died March the 9th 1803 aged 72. May he rest in peace. Cornelius Callanan of Leugh, who died 17th May 1821 aged 45 years. Also his wife Mary Callanan who died 21st August 1805 aged 84 years. Erected by Cornelius Callanan of Luigh, in memory of his father Cornelius Callanan who died 8th Dec 1891 aged 75 years. Also his mother Honoria who died Nov 1888 aged 80 years. Cornelius Callanan died 3rd June 1926 aged 78 years. Mary Callanan died 5 Nov 1926 aged 72 yrs. Patrick Callanan died 1 Feb 1974 aged 87 years. Cornelius Callanan died 7 April 1952 aged 68 years. Johanna Callanan (nee Loyde) Leugh Bridge died 24th March 1982. Johanna Cass (nee Callanan) died 26th Jan 1949. Hanora Cass died 29th May 1959. Cornelius Callanan Leugh died 12th Nov 1936. His wife Mary died 24th June 1945 also their sons William died 21 Feb 1899. Martin died in Australia 1947. Andrew died 30th June 1965. Erected by his wife Mary Callanan Egan Jn St Cashel. (On Side Panel) Bridget Callanan died 1 March 1967. Michael Callanan died 9 Oct 1928. Margaret Callanan died 28th Nov 1980. Here lies the body of James Callanan of Brittas who died July 3rd 1831 aged 58 years. May he rest in peace. Amen. Willie Callanan, Cabra, age 17 died Sept 3 1939. Catherine Callanan, Cabra, age 66 died 31 Jan 1953. William Callanan, Cabra, age 68 died 22 Sept 1954. Here rests the body of John Callanan of Aurdbaun who died June 27th 1791 aged 32 years. May he rest in peace. Amen. (Small Stone in front) To granny, Nellie Callanan, Ardbawn, died 2nd March 1982 aged 75 years. Rest in peace. In loving memory of John Joe Callanan, West Gate, Thurles ,who died 19th Dec 1970. And Kathleen Callanan who died 2nd April 1942. Christina (Chris) Callanan died 30th March 1986 aged 77 years. Infant Rachal Callanan died 30th July 1985. Michael died 2 Nov 1928 aged 82. Mary (nee Maher) died 10 March 1910. Patsy died 26 Sept 1941 aged 87. Willie died 19 Sept 1942 aged 86. Con died 30 Sept 1940 age 39. Michael died 11 May 1941 age 81/2. Mollie (nee Dougan) died 24th Dec 1974 age 70. Erected by Michael Callanan of Clougheraley, in memory of his son Denis Callanan who depd this life April 21st 1830 agd 17 years. May God have mercy on his soul. Amen. Also the above Michael Callanan depd this life April 2nd 1835 aged 60 years. Erected by Margaret Carroll, USA, in memory of her loving brother Michael Dwyer, Thurles, died 13th Aug 1925 aged 66. Carroll, Rossestown. Ned Carroll, his wife Mary His son Michael and his wife Catherine. Their daughters Maggie and Nora R. I. P.. Erected by the Carroll Family, Rossestown. Erected by William Carroll, Thurles, in memory of his mother Johanna Carroll, who died May 8th 1889 aged 89. Also his father Michael Carroll died July 4 1894 aged 85. And his infant son Denis died aged 14 days. Also in memory of his beloved wife Mary Carroll who died 5th Nov 1898 aged 43 years. Also William Carroll died 16th Oct 1924 aged 80 years. Michael P Carroll died June 4th 1965 aged 76 years. And his wife Mary Carroll died 16th March 1978 aged 76 years R.I.P..
Hanora: See CALLANAN, Cornelius, Luigh. Johanna : See CALLANAN, Cornelius, Luigh. In loving memory of James Caulfield, Stradavoher St, Thurles, died 20th June 1941 aged 60 years. Also his grand daughter Angela McNamara died 17th April 1941 and his wife Margaret Caulfield died 28th May 1970 aged 80. Also their beloved sons Sean aged 41 whose tragic death in New York occurred 17th March 1972. And Seamus died 24th March 1986 aged 64. Grant them O Lord eternal rest. R.I.P. Erected by his wife and family. In loving memory of Johanna Connaughton, Parnell St, Thurles, died 28th Jan 1918. Her husband Hubert died 27th Sept 1927. Winifred Devanney died 19th Nov 1953. Gerard Connaughton died 12th May 1961. His wife Ellen died 25th Feb 1968. Bertie Connaughton died 11th Jan 1994. In loving memory of Mary Connell who died 29th June 1924 aged 87 years. Her son Pat died May 1953. Bill died 10th March 1962. In loving memory of Mary Connors, Brittas, died 4th Oct 1975. Erected by Aeneas Lyne, Brittas. Erected by William Connors in loving memory of his mother Ellen Connors who died Jan 20th 1908 aged 82 years. The above William Connors died 13th February 1933 aged 82 years. Mrs Annie Connors died 4th Sept 1944. R.I.P.. In loving memory of Michael Cussen, Piercetown, died Oct 1938. His wife Ellen died Dec 1953 and his son Phillip died June 1940. Michael Cahill died 11th March 1974. His wife Nora died 17th Oct 1974. Erected by James and Jeremiah Dempsey in memory of their mother Hanora Dempsey alias Maher who died the 14th Feb 1864 aged 44 years. Also their father Darby Dempsey of Cormackstown died the 1st Feb 1886 aged 77 years. Jeremiah Dempsey died Jan 8th 1906 aged 55 years. Mrs Alice Dempsey died 22nd June 1817 aged 65 years. Thomas Dempsey died 10th Oct 1922 aged 33 years. James Dempsey died 17th Jan 1941 aged 94 years. Mrs Margaret Dempsey, (nee Quinlan) Liberty Sq, Thurles, died 2nd Dec 1947 aged 63 years. James Dempsey died 9th Jan 1955 aged 32 years. Jeremiah Dempsey died 1 June 1971 aged 90 years. Francis Ryan, Liberty Sq, died 22nd Jan 1996 aged 82. R.I.P..
Erected by John Dillon of Thurles in memory of his son John Dillon who died April 1st 1866 aged 3 years. Of your charity pray for the souls of Annie Donovan, Butler Ave, died 22nd October 1961 aged 82 years and her brother Michael McCarthy died 16th April 1955 aged 70 years. Also her husband John died 11 Nov 1915. (Interred in Glasnevin). Their son Geoffrey Donovan died 7th April 1989 aged 87 years. R.I.P..
Erected by Stephen Dunne, Thurles in memory of his children who died at an early age. 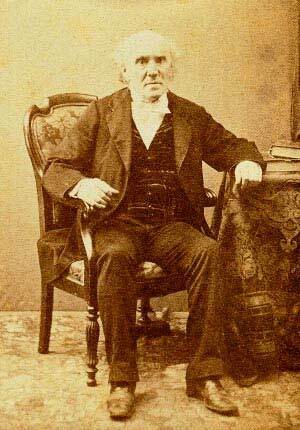 Also his father James Dunne who died on the 12th Dec 1882 aged 80 years. Here lies the body of Daniell Dwyer who died Dec 8th 1801 aged 23 years. May he rest in peace. Amen. Michael: See CARROLL , Margaret. Michael and Mary: See BURKE , Pierce and Alice. Erected by John Fanning of Thurles in memory of his wife Margaret Fanning (alias Fitzpatrick) who died September 25th 1864 aged 52 years. Erected by Bernard Fitzpatrick, Main St, Thurles, in memory of his wife Margaret who died November 21st 1914. Also Kate Phelan died 26th April 1926 and the above Bernard Fitzpatrick died 11th June 1932. Joseph D Fitzpatrick died 2nd June 1961. R.I.P.. Here lies the body of Daniel Fitzpatrick, late of Grange who died Jan the 4th 1819 aged 63 years. May he reft in peace. Amen. Erected by Anne Fogarty, Killinan, in memory of her husband Thomas Fogarty died 3rd May 1918 aged 56. Also her mother Margaret Leonard died 23rd Sept 1891 aged 73. Bridget Kearns died Feb 1940. Anne Fogarty died March 1944. Ned Ryan died Jan 1966 R.I.P.. (Side Panel) Denis Maher died 19th Feb 1991. R.I.P.. In loving memory of Jack Fogarty, Killahara, died July 1947 aged 72 years. His wife Ellen died 30th Nov 1965 aged 96 years. Their daughters Nan Ryan (nee Fogarty) died 20th Feb 1955 aged 44 yrs. Molly Davy (nee Fogarty) died 21st Nov 1945 aged 42 yrs. Their sons Paddy Fogarty died 9th Dec 1973 aged 62 yrs. Peter Fogarty died 9th March 1983 aged 82 years. Thomas Fogarty died 7th Oct 1984 aged 79 yrs. R.I.P..
Erected by John Fogarty of Leugh in memory of his father James who died May 1898 aged 80 years. His uncle John Fogarty died Octer 1882 aged 60 years. His sister Johanna died Dec 1889 aged 16 yrs. His sister Maggie died Sept 1875 aged 3 years. His mother Ellen Fogarty died 1st March 1912. His brother Daniel died 26th Feb 1928. His brother Laurence died 16th Feb 1947. The above John Fogarty died 15th Sept 1958. In loving memory of John Fogarty (Thomas), Kilrush, who died 8.2.21. His wife Ellen nee Maher who died 27.9.44. Their daughter Margaret who died 20.8.35. And their sons Thomas died 27.11.1918. Philip died 15.2.1951. Patrick died 28.4.1982. William died 26.7.1991. May they rest in peace. Erected by their daughter Ellen Kent and her family. Erected by Michl Fogarty of Luigh in memory of his father John Fogarty who depd this life May 1817 aged 59 years. And his brother Edmd died in July 1811 aged 11 years. Also her mother Margaret Fogarty (Als Stapleton) who died Feb 15 1834 age 60 years. Also his sister Ellen Fogarty died Feby 4th 1882 aged 75 years. May they rest in peace. Amen. In loving memory of Peter Fogarty, Leugh died 12th May 1921 aged 81 years. Also his daughter Mary aged 8 years, R.I.P.. His wife Nora died Feb 1924 aged 84 years. Also his son Peter Fogarty died 27th Jan 1939 aged 87. Erected by his.son Peter Fogarty. R.I.P.. His wife Mary (nee O’Loughlin) died 8th April 1989 aged 84 yrs. In loving memory of William Fogarty, Abbey Road, Thurles, who died 10th Dec 1949. His wife Mary died 4th April 1943 and their daughter Ellen died 10th June 1923. Their daughter Kathleen died 1st Sept 1987. Mrs Philip O’Grady: See O’GRADY, Edmond. In loving memory of Patrick Gleeson Killinan died 18th November 1937 aged 52 years. Mary A: See BERKERY, Ellen. In loving memory of Edmond Grady, Graigue, died March 16th 1895 aged 74. Also his wife Johanna Grady (nee Byrne) died June 25th 1895 aged 60. And his sister Mrs Bridget Maher, Ballytarsna, died Aug 26th 1875 aged 46. Also his son Edmond died June 9th 1894 aged 26 yrs. And his son James O’Grady died 31st Jan 1941 aged 78 years Also his son Philip died 23rd Jan 1946 aged 81 years. Mrs Philip O’Grady (nee Gilmartin) died 26th March 1943 aged 76 years. R.I.P..
Erected to the memory of Johanna Hackett, West Gate, died 27th Sept 1960. And her sister Anna died 12th Oct 1966. R.I.P.. Tiny (Bridget O’Connell): See CALLANAN, Andrew, Thurles. Erected by Betty Hayden in memory of her father Mic Hayden who died May 16th 1828 aged 50 years. Also his wife Anstis Hayden (alias Mahon) depd June 6th 1838 aged 55 years. And their daughter Mary Hayden died May 1838 aged 35 years. Pray for the repose of the souls of the following Thomas Hayes of Heath died 28th March 1893 aged 55 years. His wife Bridget Hayes died 26th February 1909 aged 70 years. Their children Michael died March 1901 aged 23 years. Bridget died 22nd Sept 1901 aged 22 years. Johanna Hayes died 27th March aged 55 years. In loving memory of Margaret Hickey of Dovea Thurles who died 15th April 1957 and her daughter Margaret (Daisy) died 21st Dec 1958. Also her husband Patrick died 29th April 1959. And her son Michael died 4th Nov 1965. Also his wife Nora died 10th Oct 1987. Erected by Edwd Kelly in memory of his mother Mary Callanan died August 20th 1843. 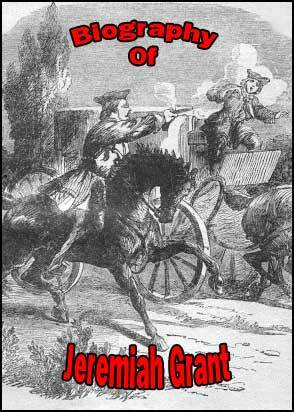 Also his sister Jude Carroll died Aug 1813 and his sister Mary Kelly died May 1828. May they rest in peace. Amen. In loving memory of Cornelius Kennedy, Friar St, Thurles died 28th Dec 1945 and his wife Ellen died 14th March 1990. Erected by Frederick Kennedy, The Mall, Thurles, in loving memory of his parents Patrick Kennedy died 12th July 1935 aged 88 years also his mother Johanna Kennedy died 13th April 1942 aged 76 years. Erected by his loving wife and family in memory of Philip Kennedy, Upper Kickham St. Thurles, died 6th July 1940 and his wife Annie died 22nd Feb 1955. Their sons Philip and Gerard Kennedy O M I.
Ellen: See Fogarty, John (Michael). Ellen: See FOGARTY, (Thomas) John. In loving memory of James Lanigan, The Racecourse, died 31st Dec 1931. His brother John died 18th Dec 1973. Also his sister Catherine (Kathy) died 17th July 1976. (Mid Panel) John Lanigan, Cuchulain Road, Thurles, died 30th March 1955. His wife Annie died 18th April 1955. Their daughter Mary died 28th Oct 1957. Their grandson John J died 17th May 1964. Their son Patrick (Pakie) died 8th Feb 1986. (Third Panel) Nora M Lanigan, Cuchulain Road, died 6th Aug 1988. Her husband James died 9th March 1992. Erected by Michael Leahy of Mullaunbrack in memory of his father Thomas Leahy died 24th July 1895 aged 60 years. Also his mother Bridget Leahy died 8th Aug 1908 aged 58 years. And his sister Mary died 22nd July 1903 aged 11 years. Esme Leahy died 7th March 1946 and her husband Michael died 21 Sept 1950 aged 55. In loving memory of Edward Long, Thurles, founder Tipperary Star who died 4th November 1925 aged 52. And his wife Margaret who died 16th October 1957 and their daughter Joan Goode who died 8th February 1958. Their daughter Kathleen C. Long died 28th February 1969. Requiescant in pace. Erected by his devoted wife Margaret. In loving memory of Mary Loughnane, Croke St, Thurles, died 30th May 1939 and her infant sons R.I.P.. Erected by her husband Martin and grandson Seamus. Johanna: See CALLANAN , Cornelius, Luigh. Erected by Thomas Maguire in memory of his father and dather John Megwire died May 13th 1812 aged 60 years. Catherine Megwire died ….. 26th 1818 aged 17 years. Bridget: See CALLANAN, Andrew, Brittas. Bridget: See GRADY , Edmond. Erected by Daniel Maher in memory of his beloved mother Ellen Maher of Forgestown who died Dec 19th 1894 aged 53 years. Also in memory of his father Laurence Maher who died August 3rd 1895 aged 68 years. Also his sister Bridget Maher who died May 25th 1899 aged 18 years. Also his sister Margaret Shanahan died 20th Dec 1899. In loving memory of Denis Maher, Lower Killinan, Thurles, died 24th Aug 1926 aged 72 years. His wife Johanna died 6th Aug 1973 aged 90 years. James Maher, 8 Castle Ave, Thurles, died 27th March 1989 aged 78 years. His wife Bridie, Emmet St, Clonmel, died 11th Sept 1965 aged 43 years. Erected by his wife and family. In loving memory of James Maher, Mullaunbrack, died 27th Aug 1990. R.I.P.. Erected by James Maher, Mullaunbrack. Here lies the body of James Maher who died June the 14th 1767 aged 58 years. Honora Maher (Als Ryan) who died January the 15th, 1797 aged 78 years. May they rest in peace. God be merciful to the soul of Judith Maher, who died January the 2nd 1797, aged 67 years. Erected by Tho. Maher. Kathy Maher: See TROY, Martin. Erected by Margaret Maher, West Gate, in loving memory of her husband John Maher died 15th April 1933. Her father Andrew Callanan who died 18th April 1935 and his wife Mary (nee Ryan) died 28th Jan 1943. Also her children Michael, Margaret and Francis who died young. The above Margaret died 20th March 1971. Her son Andrew died 17th Sept 1988. Mary: See Callanan, Michael, Clogheraley. Erected by Matthew Maher Killinan in memory of his father Matthew Maher who died 18th Nov 1866 aged 80 years. Also his daughter Margaret Maher who died 5th Oct 1886 aged 21 years. Also his wife Margaret Maher who died July 3rd 1893 aged 57 years. And his sister Catherine Maher died 3rd Septr 1866 aged 35 years. Also in memory of the above named Matthew Maher who died April 15th 1894 aged 51 years. John Maher died Nov 7th 1907 aged 95(35) years. Maria Maher died 11th Dec 1939 aged 64 years. In loving memory of Matthew Maher, Killinan, who died 23rd Oct 1946 aged 79. His wife Maria died 11th Dec 1939 aged 64. Their sons Edward died 7th Jan 1942 aged 32. Thomas died 18th June 1961 aged 46. Matthew died 15th May 1973 aged 68. His brother Thomas died 24th Nov 1966 aged 89. Their daughter Mai Maher died 23rd March 1992 aged 81 years. In loving memory of Michael Joseph Maher, Ilford, Essex, and Kilrush, a dear husband, dad and Grandad, who died 18th July 1995 aged 63. Though our love on earth has ended, We’er never far apart, The smiling face we loved so well, Forever in our hearts. Rest in Peace. Erected by Breda and Family. In loving memory of Sean Maher, “St Annes,” Ballinahow, who died 9th Feb 1995 aged 74 years. R.I.P.. Here lies the body of Thomas Maher who died November the 21st 1803 aged 44 years. May he rest in peace. Amen. Ered by Tos Maher in memory of his father Patrick Maher who depd Oct 24th aged 48 yrs. May he rest in peace. Amen. Merciful Jesus grant eternal rest to the soul of John F. Meagher, Liscahill Lodge, Thurles, who died 15th October 1947 and his son Richard died 29th March 1922 aged 31 years. Also his wife Anne died 5th Sept 1970. R.I.P..
Erected by Mrs Mary Meehan, Liberty Square, in loving memory of her husband Michael Meehan died 5th January 1928 aged 69 years. And her son Michael died 5th March 1927 aged 36 years. John who was interred at Cashel. Also the above Mrs Mary Meehan who died 13th February 1939 aged 80 years. In loving memory of William Moloney, Sarsfield St, died 28th June 1962. His wife Ellen died 19th Oct 1973. His son William died 17th Jan 1939. And his wife Elizabeth McNamara died 2nd July 1952. Granddaughter Rose Walker, Norfolk, England, died 27th Jan 1991. In loving memory of my beloved wife Bridget Mulcaire, Derheen, who died 18th April 1912 and daughter Kathleen who died 18th April 1949. Also my parents Michael and Annie Mulcaire and sister Anne. James Mulcaire died 31 Dec 1979 aged 73. R.I.P. Erected by her husband and family. In loving memory of John Murphy, Abbey Road, Thurles, and Dublin, who died 2nd Dec 1962 and of his deceased parents brother and sister. My Jesus Mercy. Bridget (Tiny Hackett) : See CALLANAN, Andrew, Thurles. Erected by John O’Loughlin Thurles in loving memory of his mother Mrs Katie O’Loughlin died 5th May 1924 aged 60. And his father Tho. O’Loughlin died 8th March 1928 aged 75 years. Also his brother Rev Martin O’Loughlin, Duluth, Minnesota, USA, who died 18th December 1938 aged 40 years. R.I.P.. In loving memory of Timothy O’Reilly Sergeant, R.I.C., Hall St, Thurles, died 13th March 1945 and his wife Mary Ellen died 13th April 1927. Also their daughter Mary Angela died 1st Dec 1931 and the parents of Mary Ellen O’Reilly. James Dillon died 11th Oct 1930, also his wife Mary died 9th Jan 1939. In loving memory of William Peters, Clobanna, who died 19th June 1937. And his wife Catherine died 30th Dec 1968. Their son John died 16th Sept 1985. Erected by their daughter. Kate: See FITZPATRICK , Bernard. In loving memory of Ellen Purcell who died 17th Sept 1946. Erected by John Quinlan in memory of his father Timothy Quinlan, who died June the 5th 1827 aged 80 years. May he rest in peace. Erected by Anthony Quinn of Thurles in memory of his daughter Winifred who died 31st January 1937 aged 27 years. Also the above Anthony Quinn who died 16th February 1949 and his wife Margaret died 12th May 1953. Their son-in-law William Quinn died 18th Dec 1963. Their daughter Julia Quinn died 16th Nov 1979. R.I.P..
Erected by Daniel Quinn of Killinan in memory of his father Darby Quinn who depd this life May 22 1835 agd 80 years. Also his brother John died March 15 1830 aged 21 years. And his brother James depd Feb 21 1844 aged 27 years. Erected by Sara Quirk in memory of her beloved husband James Quirk, The Mall, Thurles, who died 26th November 1906 in the 90th year of his age. Also pray for the repose of the soul of the above Mrs Sara Quirk who died 19th Nov 1911 aged 78 years. R.I.P..
Erected by Timothy Rahill of Graigue in memory of his father Wm. Rahill who died Jan 10th 1810 aged 68 years. Also his mother Johanna dep Apl 18 1825 aged 88 years. Timothy died Feb 5th 1841 aged 81 years. Here lies the body of Edward Rooch who died November the 11th 1783 aged 70 year. Also his son and daughter Bridget Byrn died May 27 1839 aged 65 years. Here lies the body of Catherine Ryan who died March the 25th 1798 aged 51 years. May she rest in peace. Amen. Erected by James Ryan. Underneath are deposited the remains of Catherine Ryan also Heffernan who dept Feb 23rd 1835(?) aged 35 years. Also her daughter Mary Ryan who depd April 7th 1837 aged 3½ years. Here lies the body of Daniel Ryan who departed this life the 16th day of August 1785 aged 79. Requiescant in pace. Erected by Edmund Ryan of Thurles in memory of his dauther Margreat Ryan who departed this life May 31st 1849 aged 10 years. May her soul rest in peace. Amen. Here lies the body of Edward Ryan who died May the 5th 1796 aged 32 years. May he reft in peace. Amen. Also his son Edmd. Ryan, depd March 21st 1840 aged 44 years. May he rest in peace. Erected by Ellie Ryan, (nee Moloney) Parnell St, Thurles, in memory of her husband Patrick Ryan died 7th March 1925. The above Ellie Ryan died 22nd Feb 1957. In loving memory of James Ryan LLD, Solicitor, Innisfail, Thurles, who died 18th May 1927 aged 67 years. His wife Ellen died 13th Jan 1945. John A Ryan died 7th Oct 1954. R.I.P..
Joseph (Mac): See BYRNE, Bridget. Erected by Mari Anne Ryan, The Bridge, Thurles, in memory of her beloved father Patrick Ryan who departed this life Dec 2nd 1844. Also her beloved mother Anne Ryan who departed this life November 12th 1877. Also her dear sister Bessie Ryan who died April 16th 1878. Mary: See MAHER , Margaret. Here lies the body of Wm Ryan of Ardbane who died June 27 1802 aged 86 years. Also Mary Ryan wife of John Ryan who died December 9 1792 aged 30. Also Judith Ryan her daughter aged 12 years who died April 13th 1807. May their souls rest in peace. Amen. Erected by William Ryan N.S.W. Australia in memory of his beloved mother Margaret (nee Healy) Kilrush, who died 25th March 1880 aged 60 years leaving four sons to mourn her loss. Also his son Timothy who died 20th March 1875 aged 3 weeks. Also Elizabeth Ryan (nee Healy) sister to the above Margaret died 9th March 1884 aged 66 years leaving 3 daughters to mourn her loss. Brother Thomas E. Ryan, Brother Patrick A. Ryan and John Ryan, Mary Hickey, died 1931. Her son Patrick died 1955. James Hickey Kilrush died 14 Dec 1985. Erected by William Ryan, Thurles, in memory of his wife Mary Ryan who died Dec 1921 aged 41 years. William Ryan her loving husband died Oct 13th 1949. In loving memory of Michael Sadlier, The Square, died 24th April 1924 also his wife Jane died 20th December 1926. Ellen: See CALLANAN, Andrew, Brittas. Erected by Maggie Stapleton in loving memory of her husband Thomas Stapleton, The Square, Thurles, died 17th November 1916 aged 57 years. And our two children James who died in infancy. Margaret Stapleton died 7th March 1939 aged 73. R.I.P..
Sacred to the memory of Martha Brownrigg Symes, dearly loved wife of Sandham Symes of Killinan Lodge, died 17th June 1919. In loving memory of Martin Troy, 4 St Brendans Terrace, died 3rd Dec 1961 aged 87 years. His wife Johanna died 18th May 1969 and their son Martin died 13th Nov. 1966 aged 34 years. Kathy Maher, Liscahill, died 10th June 1923 aged 87 years. Erected by Margaret Wall of Cooleeney in memory of her husband Andrew Wall who dept this life May 30th 1845 aged 75 years. Also his brother Simon Wall who depd this life Feb 19th 1842 aged 82 years and his son Andrew died Dec 29th 1875 aged 70 years. Also his grand daughter Margaret Wall who died 1879 aged 45. Erected by Denis Walsh of Tubberadora in memory of his sons Philip who died May 24th 1888 aged 3 years. And Patrick died June 10th 1888 aged 7 years. Also Richard and Michael who died young. Also the above Denis Walsh died Nover 2nd 1907 aged 72 years. His wife Bridget Walsh died Sept 1931 aged 88 years. Also his grandchildren Richard who died young and Bridie Walsh died 16th April 1932 aged 19 years. John Walsh, Tubberadora, died 1st Sept 1957 aged 84 years and his wife Ellen Walsh died 2nd Feb 1966. R.I.P.. In loving memory of John Walsh, Slievenamon, Thurles, who died 4th May 1934 aged 65 years. And his wife Sarah Walsh died 24th Nov 1942 aged 76 years. Their daughter Aileen died 28th April 1954. In this Graveyard of Killinan, are buried the following, who were all members of County Tipperary hurling teams, with some of them captained the counties teams. 1. Tom O’Grady who was Captain of the team that went to the USA. 2. Denis Maher who was Captain in 1887. 3. John J. Callanan, Westgate, Thurles. Captain in 1930. 4. Jim Lanigan, Cuchulainn Road, Thurles. Captain of the 1937 team. 5. John Maher, Son of Denis, only Captain ever to be chaired, shoulder-high from Semple Stadium to Liberty Square, following the aftermath of Tipperary’s famous victory in the Munster Final of 1945. Connie Callanan, who played in 1887. Jim O’Loughlin, who played in 1930. John Walsh, Tubberadora, 1895 until 1900. Edward Long, founder of the Tipperary Star Newspaper, is also buried here. Hello. I am researching my family history for the families Dowdle and O’Loughlin who all originally came from Tipperary. The Dowdles came from Thurles Tipperary as shown on their death certificates in Australia. The father was Patrick O’Loughlin, mother Bridget Burke. They had two children that I am aware of Margaret Mary and Thomas Henry O’Loughlin both who came to Australia. Stephen Dowdle and Margaret Carew (Carey) lived in 91 Pike Street Thurles, Tipperary in the 1901 census. They had Mary, John, Stephen, Thomas, Patrick and Michael who stayed in Ireland. All the others immigrated to Australia, got married and had children. Any information on these two families would be greatly appreciated. I am trying to trace my family who immigrated to Canada around 1850 +- 10 years. We had it written by someone in our family that they were from Langley, Tipperary. Although, in Canada, their name was spelled Loton and Lotan, I believe the correct spelling to be Laughton, which from what I read was originally an English Cheshire name. I see that there were many Laughton’s who, although born in Ireland, returned to England after the potatoe famine. I have been unable to locate a town by the name of Langley, nor a Civil, or Church Parish, but I did learn that there were a number of Langley Estates situated in Tipperary. As our family were Anglican farmers, I suspect they may have worked on one of the estates. It seems most of the estates were located around Thurles. I believe these included: Coalbrook, Archerstown, Brittas Castle, Priesttown and Knockanroe. I think those are the main ones??? Hi Richard, Thank you for your communication. I have contacted one of the Langley family residing at the Archerstown estate and await their reply. St Mary’s Church & Famine Museum, which I note you also contacted by email, today remains the parish church of the Langley family. The Langley family are indeed a long established and respected family in the Thurles, Co Tipperary area. I will keep you updated on any new findings which may be uncovered over the coming weeks. I’m trying to trace my Great Grandmother’s history. Her name was Margaret Dee (married – last name Dye). Her father was John Dee and she had a sister named Kathleen who married an American named Rudolph LePore. Kathleen is buried in Ireland. Margaret was born in Littleton, Tipperary, Ireland. I know she died in 1923. I have a birth date of Nov. 30th, but the year is sketchy (maybe between 1875-1880). We think Margaret may be buried in Ireland, but cannot find any information. She died when my grandfather was young, so her children didn’t know much about her. Can you help me find out what grave yards would be in the area during that time? I’d like to find out about the family so I can share it with my Mother. Hi Barbara, I will make some enquiries and get back to you in the next few weeks. I was able to track down a marriage license record for Margaret Dee Dye and James William Dye. Her birthdate listed on that record is Dec. 29, 1883. I also found a record of her sister, Mary Dee Lepore who married an American, Rudolph G. Lepore. Mary died in the USA 1950 (not sure where she is buried either) but Rudy remarried her sister, Cathleen/Kathleen. They both died in Ireland (Cathleen in 1960 possibly and Rudy in 1965) and are supposedly buried in Littleton, Tipperary, Ireland. I also tracked down on Mary Dee Lepore’s death record that the Dee girls’ mother was Kathleen Coby. Their father was John Dee — they lived in Littleton, Tipperary, Ireland. I was wondering if you know where Richard and Johanna Neely are buried. They died in 1870 and 1887 in Thurles, Hollycross.